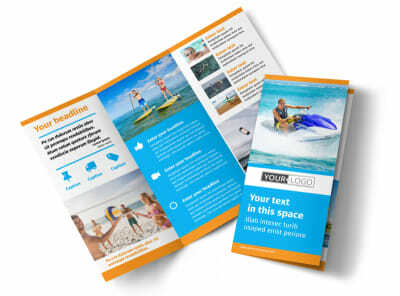 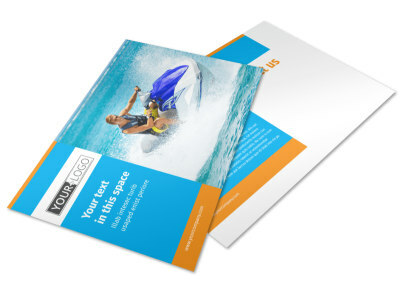 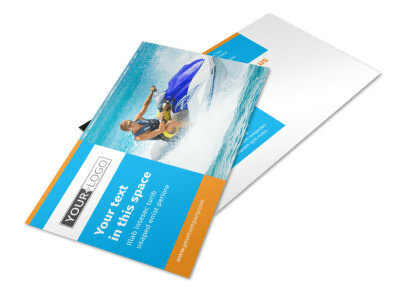 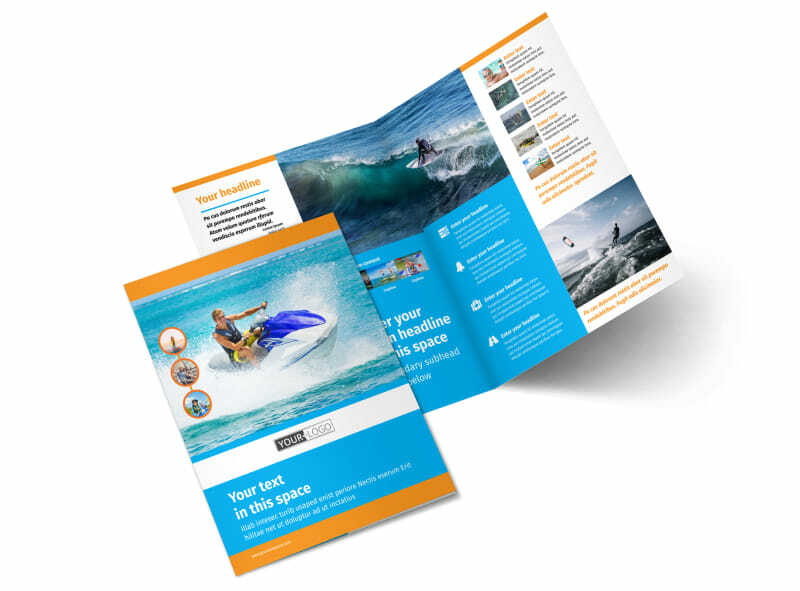 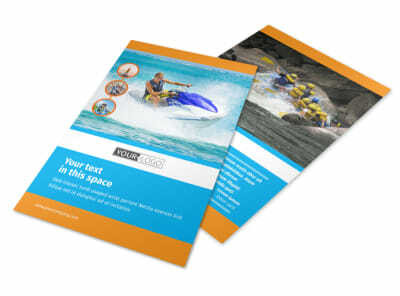 Customize our Water Sport Rentals Brochure Template and more! 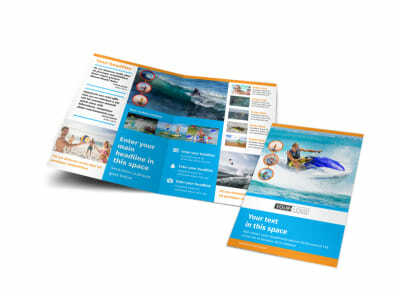 Educate the public on the various water sports rental equipment that’s available through your establishment with a brochure created by using a template and our online editor. 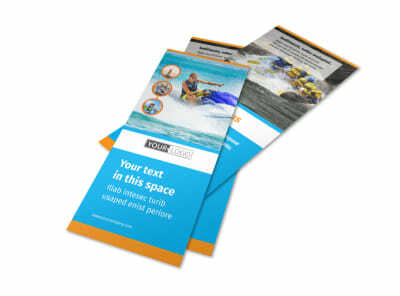 Customize your choice of either a bifold or trifold template by adding images of the water sports equipment you have available, along with brief descriptions and pricing points for each item. 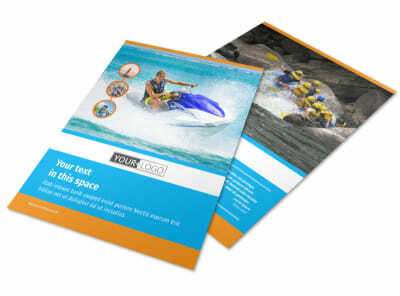 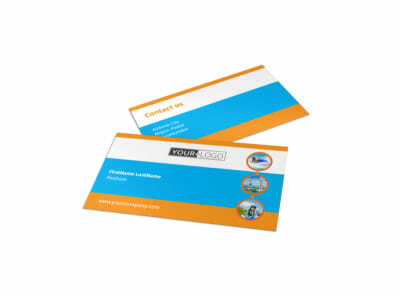 Play with other design elements to achieve a unique look and print from your location or leave that part to us.